If you're a big Moleskine fan like I am, you would just love this. 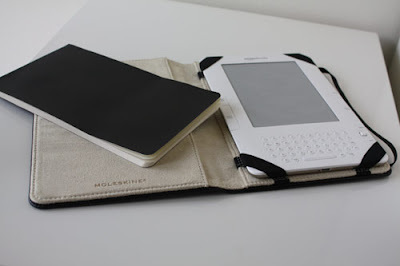 A moleskine for your kindle. Nice! 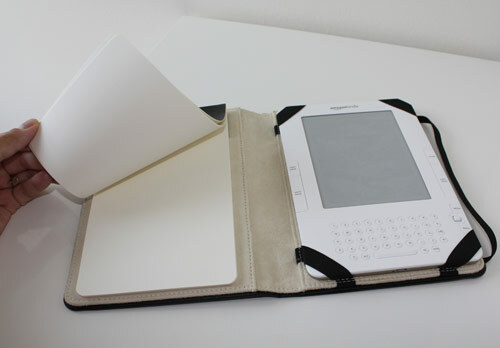 The notebook is slightly larger than the Kindle and has the signature Moleskine cover and elastic band for closure. 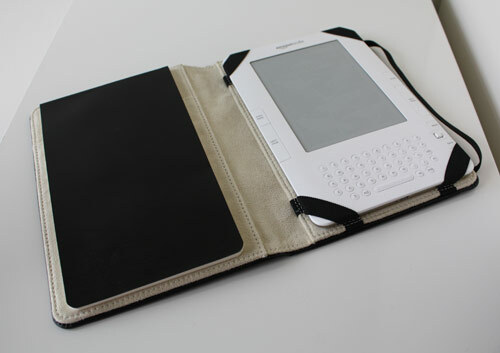 The interior is covered in a slightly furry suede-like material to keep your Kindle from getting scratched. 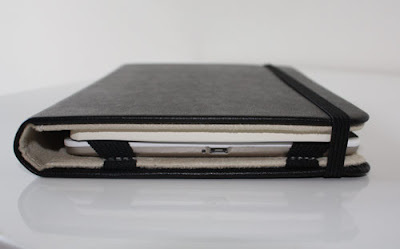 On the right, there are four elastics that go on each corner of your device to hold it in place. 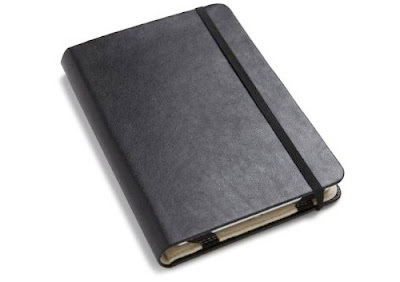 On the left is a pocket, in which a thin, reporter-style (top seam) notebook is nestled. One for iPad already exists, my partner has one.